Whether it's his condominiums, his casinos, his steaks, or his much-maligned (and lawsuit-magnet) university, Donald Trump often boasts that the famed "Trump" name items meet the highest standards of quality and success. As multiple reports have shown, there's often little to no evidence to support these claims— in fact there's sometimes quite a bit to prove the contrary. But one Trump venture that appears not to be completely terrible and actually still operational is Trump Winery. But functioning and not sucking doesn't say much — what are Trump wines' reviews? Located in Charlottesville, Virginia — or as the Trump Winery's website describes with lyrical flourish, "nestled in the foothills of the Blue Ridge Mountains" — the Trump Winery has been running since 2011 with 200 acres of "French vinifera varieties." It's actually overseen by Trump's son, Eric, not the Donald himself. The Trump Winery website also proclaims itself "Virginia’s largest vineyard and the largest vinifera vineyard on the East Coast." That's not totally true. According to Noah Rothbaum at The Daily Beast, the claim that Trump Winery is the largest is bunk because "the yardstick is typically case sales, not acreage," and Trump Winery is definitely not the largest in sales. But despite Trump's own beliefs, size isn't everything. What are the reviews of Trump wine? According to Amazon, multiple brands — 2014 Trump Winery Meritage, 2014 Trump Winery Chardonnay, 2009 Trump Winery Sparkling Rosé — are given the "#1 Best Seller" label on the site. Far and away more entertaining, though, have been the reviewer comments. Some of the handful of Trump Winery reviews are genuine, praiseworthy, and remarkably serious, like the one for the 2014 Winery Chardonnay featured below. The reviewer noted the wine was "mostly fermented in stainless steel, giving the wine a fresh citrusy taste that is free of oak and vanilla" and that it "has a fragrant grapefruit and pear aroma with lush flavors of melon and pineapple." Overall, the reviewer gives the wine more thought and consideration than it — or at least Trump's presidential campaign — deserve. I had no idea how marvelous racism and hate could taste so good! The complexity and flavors of this alarmingly named wine are layered with the wild nuance of The Donald's own coiffed beavers nest. YOU'RE FIRED-up about what to bring to that Klan meeting next month? How about a bottle of liquid hate to go with the deep-fried stupidity of Trump. Nation??!! 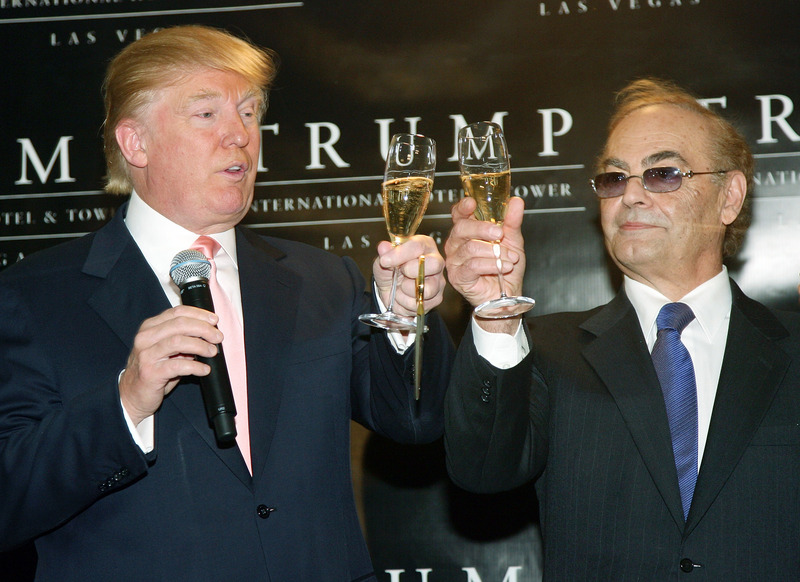 On the 2009 Trump Winery Blanc de Blanc, one reviewer mocked Trump's history of birther claims against Barack Obama (to say nothing of his supporters' birther suit against Ted Cruz), writing, "I deeply, deeply suspect the grapes weren't from Napa, the farmer failed to prove that they weren't from Africa. I mean, he showed me a certificate of authenticity, and where the grapes grew up, but anyone can pay someone to fake those things." The reviewer also included another jab at Trump's hostilely anti-immigrant stance, saying the "grapes were souring, probably because they didn't get the tender loving care of immigrant labor." One reviewer simply noted of the NV Trump Winery Cru, "Tastes like racism and bigotry." Others noted that Trump wine was an ideal gag gift, a comment that makes one wonder if the recent increase in Trump wine sales (according to the winery's general manager, Kerry Woolard) is a result of people are flocking to buy the wine as joke presents. After all, Trump's "Make America Great Again" hats are often worn ironically and meant to be humorous rather than supportive of the Trump presidential campaign. But while Trump wine and Trump hats may make for the perfect gag gifts, Trump & co. are the ones laughing all the way to the bank.